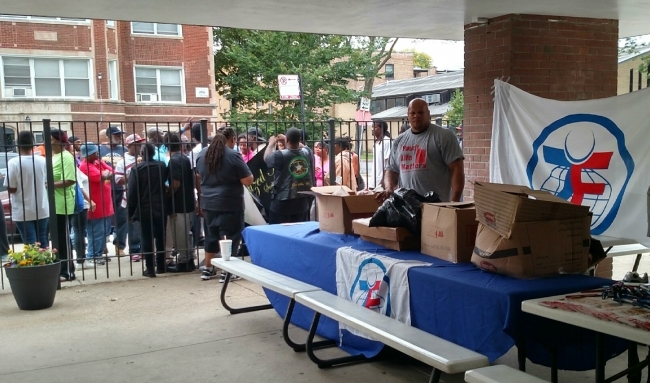 The South Side of Chicago is not the first place that comes to mind when thinking about the annual Udhiya (Qurbani) distribution. 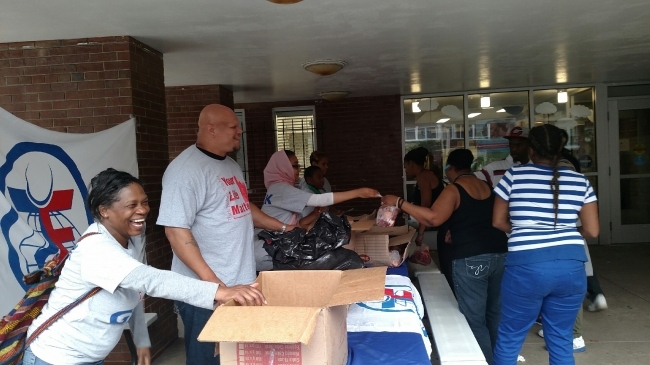 However, this past week Zakat Foundation of America (ZF) was active in establishing a halal meat distribution site in one of the city’s most neglected communities. 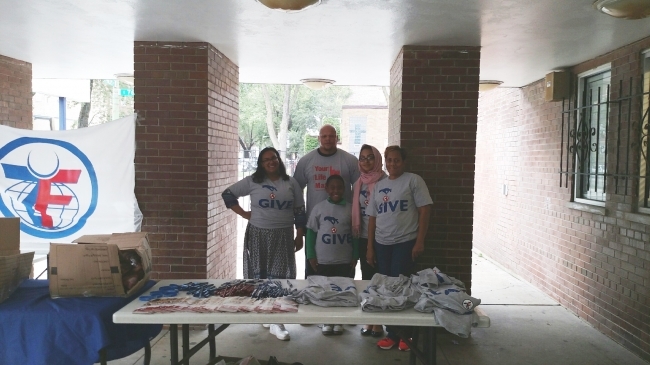 While ZF is well-known for its active role in Udhiya programs in over 40 countries worldwide, it also aims to follow the teachings of the Prophet Muhammad (pbuh) that encourage helping those in need closest to you. In this spirit, ZF partnered with Notarized Inc. to distribute fresh meat from Udhiya donations to feed 150 families from the community. This year, ZF donated two cows (14 shares) during Eid weekend. 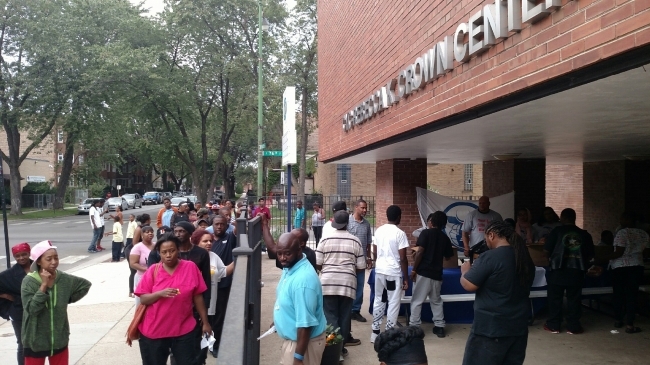 The distribution took place at the Chicago Youth Center Crown where a line of community members patiently waited outside to receive their packages of freshly cut meat. Unfortunately, the South Chicagoland area has an infamous reputation for gun violence. Many families located in this region live below the poverty line. 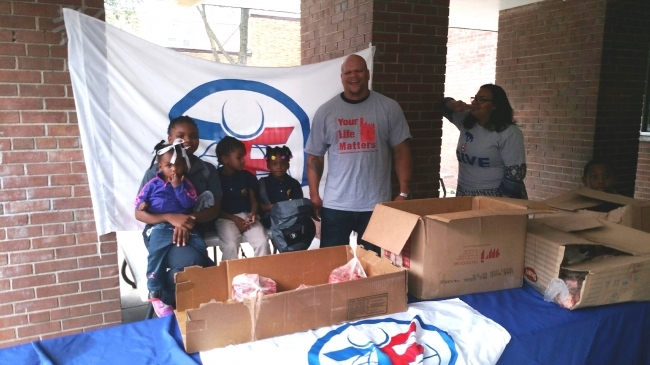 There are not many stores that market fresh organic meat in these often neglected neighborhoods, let alone halal meat. It is vital for ZF to not only respond to humanitarian issues globally, but also locally, especially as a US-based NGO. ZF looks forward to the partnerships and prospects with local community organizations to be the driving force behind eliminating poverty in the ignored parts of Chicago. ZF has always been involved with the local community for the past several years and hopes to continue such programs and projects.